On the surface, being a compliance officer may not seem very amusing to our readers. Jokes about the job abound, including the one that goes - a newly promoted employee confides in his doctor: "I think I am a compliance officer," to which the doctor replies "Have you double checked?" Or, how about the joke that asks how many compliance officers it takes to screw in a lightbulb that finds the answer is 3. It takes 1 to change the bulb, another to check it, and a third to file a report on it. While everyone except the compliance officer is probably laughing right now, staffing in such departments has exploded so don't laugh too loud out there. Since Dodd Frank, regulators have created more than 22,000 pages of regulations and obliged the industry to hire thousands of new regulatory and compliance staff to help manage risk and implement these rules. For its part, JPMorgan alone reported 43,000 compliance and regulatory staffers at the end of 2015 vs. a mere 23,000 5Ys prior. On a comparative basis, JP reported 180,583 total employees at the bank at the end of 2015 and 181,245 at the end of 2010. That means today the bank's compliance and regulatory staff is about 24% of the total vs. 13%. For JP, this basically means hiring about 5,000 people each year or so - a 17% annual median growth rate. JP Morgan is complex but they are certainly not alone in such a huge hiring burst in compliance. Consider that before the most recent financial crisis, compliance officers were flexible. They gave bankers a great deal of autonomy and were perceived as advisors with whom to confer from time to time. These days we hear from many bankers that they are now sometimes seen as enforcers. They crack down on such things as AML, BSA and a host of other regulations in an effort to keep the bank out of hot water and to avoid paying fines. They are deadly serious about their duties. Consider as well that the banking regulators have also hired or retrained thousands of examiners to zero in on new risks in this area. That leaves bank compliance officers caught in the middle between their colleagues and regulators, so many unfortunately now eat lunch alone. The numbers around compliance are substantial in the banking industry. For instance, consider recent research by Deloitte that finds: 57% of chief compliance officers now report to the CEO or board and 55% regularly brief the board on the company's ethics and culture. Despite this, only 32% said they are seen as a business partner across the organization. 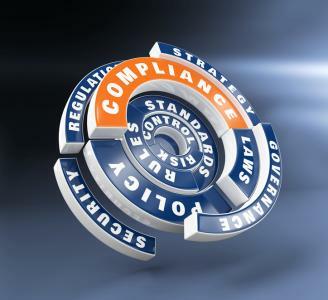 Further, when asked to identify the most challenging aspects of their organization's program for managing compliance risks, the Deloitte research found: third-party compliance risk management (20%), Executing compliance risk assessment process (14%), monitoring compliance with policies (14%), data analytics and reporting (8%), regulatory relationship management (7%) and policy and procedure management (7%). Being a compliance officer is not easy and like most bankers out there these jobs also take a toll on people. Maybe it's time to take moment and buy your favorite compliance or regulatory risk management teammate a sandwich at your favorite lunchtime establishment. Comments by Fed official Rosengren in favor of a rate hike sooner rather than later helped boost yields 6bp. USAA said it will close 17 of its 21 financial centers nationwide next year as it adjusts to the reality that most of its members only use its mobile app and website to do their banking. USAA says only about 2.5% of its 11.7mm members use its financial centers. Investors have flooded billions of dollars into real estate funds, as the industry got its own sector in the S&P 500 as of the close of trading Friday (split away from broader financials). As a result, investment managers have rebalanced portfolios to adjust to the change and investors have flooded in to take advantage of the new liquidity and specialization it provides. 1) The Home Savings and Loan Company of Youngstown ($2.1B, OH) will acquire Premier Bank & Trust ($320mm, OH) for about $40.3mm in cash (50%) and stock (50%) or roughly 1.4x tangible book. A study by International Data Group finds 90% of data generated today is unstructured. This is one reason bankers are hearing so much now about the use of cognitive analytics or artificial intelligence (AI). As billed, AI would likely improve fraud detection and provide for better customer service - two things banks would desperately like to have. Research by the Society for HR Management finds the top conditions needed to get deeper employee engagement are: relationships with coworkers (77%), opportunities to use skills and abilities (77%), meaningfulness of the job (76%), the work itself (74%), relationship with immediate supervisor (74%), organization's financial stability (72%), contribution of work to organization's business goals (72%) and autonomy and independence (71%). A study by BlessingWhite finds 35% of employees say they would be more satisfied with their job if they had a better relationship with their manager. A survey by Bank Director finds 41% of respondents have a mandatory director retirement age of 72Ys.